This is a glorious antique Resurrection coloring page of Jesus at the tomb. It shows a beautiful Easter Angel and the soldiers who are are knocked back from the sepulcher. Jesus carries a banner. Alleluia! 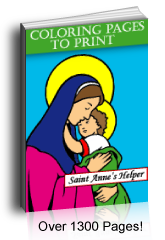 Great for teaching about Easter and the Glorious Mysteries of the Rosary. 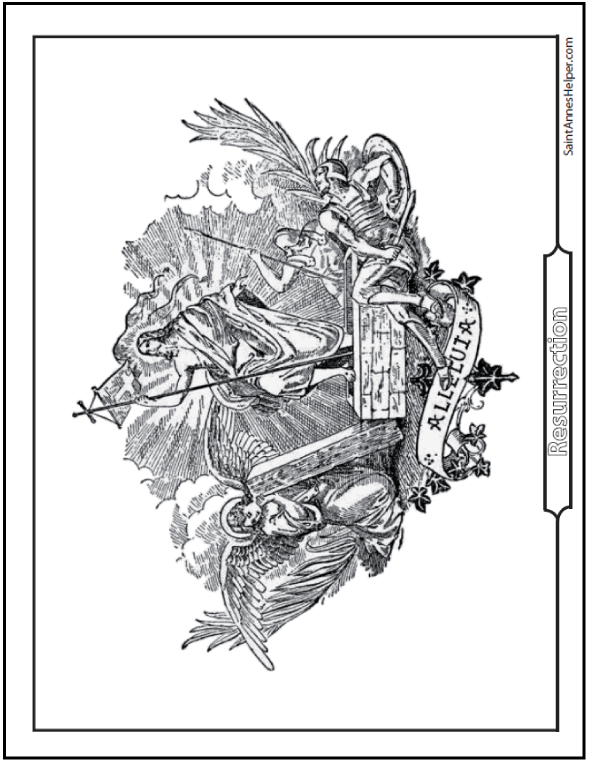 Pray for an increase in the supernatural virtue of Faith.This PDF prints 8.5x11" single sided. This is a wonderful Resurrection coloring page of Jesus on Easter morning.